Where I live it isn't uncommon to have 100 degree days during June-September. 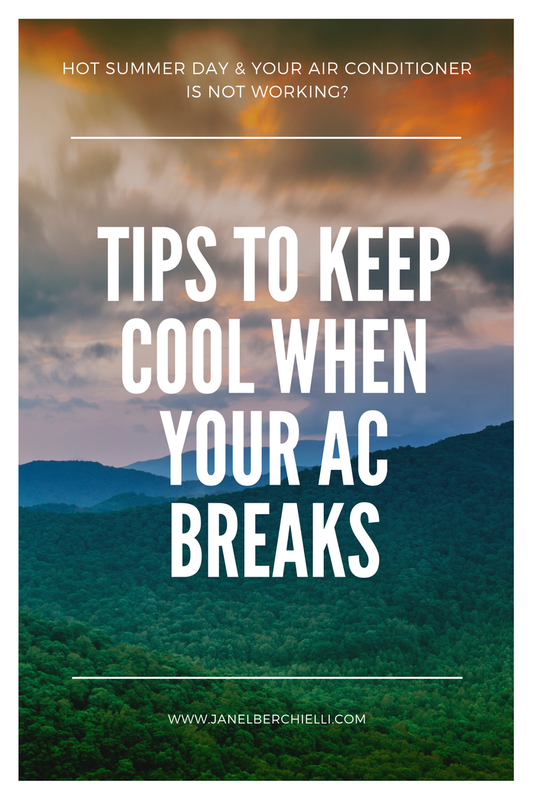 Often during this time ones air conditioning system is working overtime to keep up, but for whatever reason stops working. It could take days to find a repair person to come look at it, and even longer if a replacement part is out of stock. 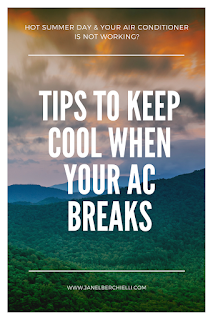 I recently had my AC stop working during a heat wave and have some tips to share how we are surviving the heat. If the heat gets too unbearable see if a friend, neighbor or family member will let you come visit so you can cool off a bit. If going to someone's home isn't an option many cities offer cooling centers during the peak heat hours (not all of them allow you to bring pets). If all else fails find a local budget friendly hotel and check in for a night or two. Bonus if you find a hotel with a pool to cool off in too. Your health and safety are very important learn how to recognize the signs of heat exhaustion and heat stroke, seek medical help if necessary. Here is a graphic to help you. I suggest printing it out or screenshot it to save.